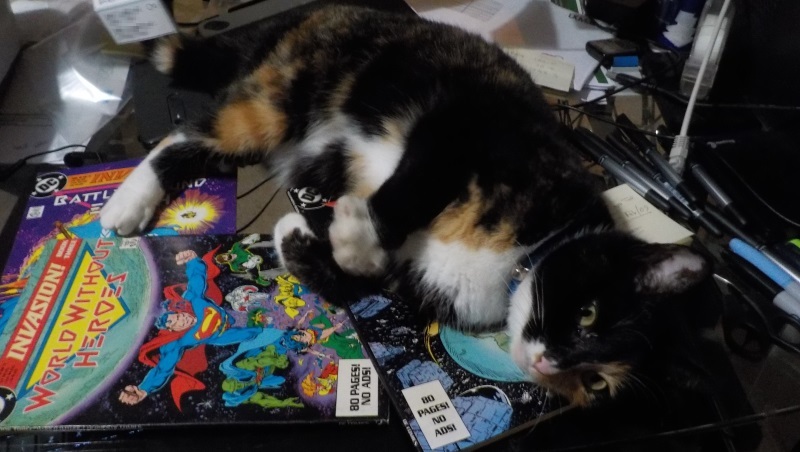 I can’t get to them because of my cat Harvey who might look cute and adorable but having seen Captain Marvel, I’m pretty sure she’s part Flerken. Yeah, but damn her claws are sharp! I know those feels man. I have calico myself and she’s very fond of hooking everyone in sight.